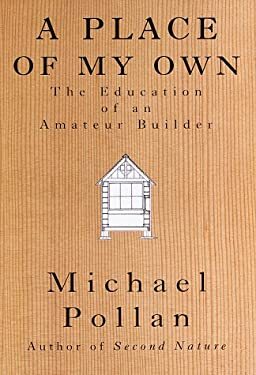 At a turning point in his life, writer Michael Pollan found himself dreaming of a small wood-frame hut in the woods near his house--a place to work, but also a "shelter for daydreams." Weaving the practical with the philosophical, this book presents a captivating personal inquiry into the art of architecture, the craft of building, and the meaning of modern work. Line drawings throughout. Size C. 320 pp. National ads & publicity. 35,000 print. Used Good (1 available) 0679415327 No CD Included. Access code may be previously used. Moderate dirt wear, wrinkling or creasing on cover or spine. Good binding. Moderate writing and highlighting. Cover has used book stickers or residue. Marker on cover or bottom edge of book. BORGASORUS BOOKS, INC.